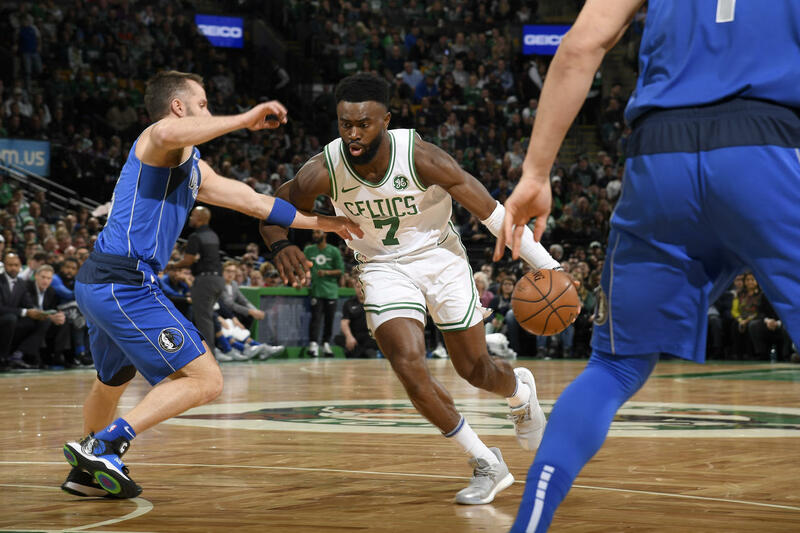 Celtics face the renewed Mavericks with their new star Luka Doncic, it will be an interesting duel where we will be able to observe 2 teams that know how to play defense in a new night of NBA. 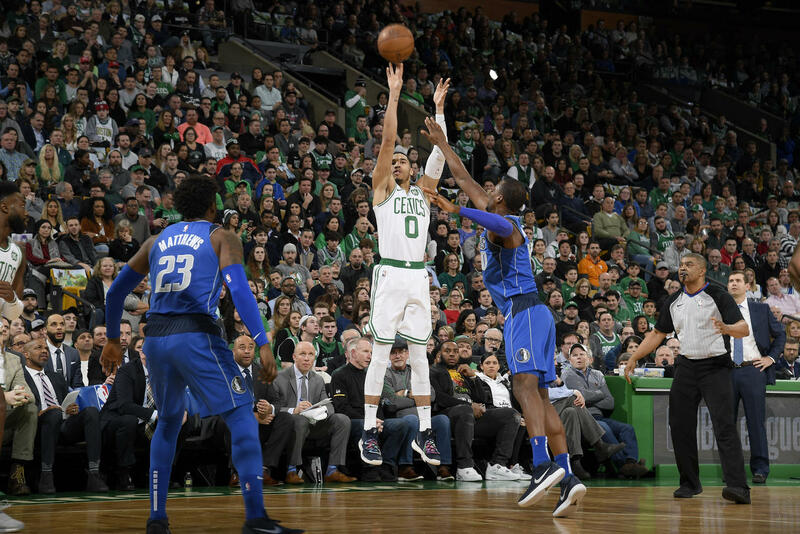 Smart scores an effective shot from the perimeter and opens the scoreboard of the match, Rozier assists Tatum who scores from the 3-point line, Brown scores a mid-range basket, Tatum scores an effective shot from the perimeter, Doncic responds and scores in penetration, Smith penetrates by board and gets the foul, basket the extra, Tatum spins and basket mid distance, Jordan takes the offensive rebound and overturn, Barnes scores a hook, Ojeleye penetrates and leaves a tray, Hayward basket mid distance, finishes fourth 34 -23 above Celtics. Brown hits a great shot from midfield, Doncic assists Jordan with a great Alley-Oop, Hayward hits an effective shot from the perimeter, Smart scores from the 3-point line, Barnes penetrates and hits 2 points, Smith hits an offensive rebound and converts the basket, Mathew basket a shot from the perimeter, Tatum basket from the 3-point line, Hayward leaves a tray in penetration, Doncic basket a great effective shot from the perimeter, finishes the first half 58 - 51 Celtics up. Doncic basket an effective shot from the perimeter, Smart assists Horford with a great Alley-Oop, Tatum basket a mid distance shot, Horford basket from the 3-point line, Tatum scores from the perimeter, Harris in penetration leaves a tray on the board, Hayward assists Smart who basket from the perimeter, Smart assists Hayward who penetrates and leaves a tray, finishes the 3rd quarter 84 - 68 Celtics above. Brown scores an effective shot from the perimeter, Barnes scores from the 3-point line, Smith scores a reverse tray from the perimeter, Brown scores from the perimeter, Smart scores from the 3-point line, Barnes scores from the perimeter, Mathew scores from the perimeter, Mathew penetrates and scores a tray, Doncic scores near the hoop, Barnes basket an effective shot from the perimeter, Rozier basket a great shot of 3 points, at this point with 2 minutes to play Celtics had total control of the game, would play the last minutes with their respective benches, finishes the encounter 114 - 93 in an excellent victory for Boston over Dallas. 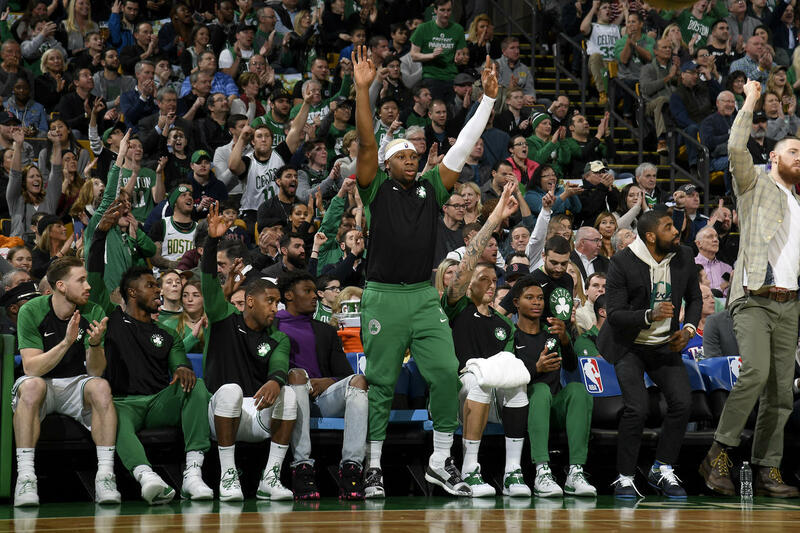 Boston Celtics continues demonstrating with its young stars that it is a team that has serious aspirations to reach the playoffs, have been playing very well in the absence of Kyrie Irving, this time against Dallas team led by his rookie star Doncic, was a closed game until the 2nd quarter then from the second half Celtics took control of the game and from then on the young Boston stars along with Horford veteran were responsible for winning the match. Jaylen Brown 21 Pts. 2 Reb. Jayson Tatum 18 Pts. 6 Reb. Marcus Smart 17 Pts. 4 Reb. Let me have your comments if you enjoyed the meeting or read the publication.